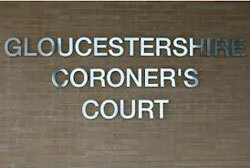 In April 2012 Alexander Burn Funeral Directors was appointed as the Coroner's Funeral Director in Gloucestershire. The contract is a long term arrangement and means that when a death is reported to the Coroner, Alexander Burn Funeral Directors are instructed to move that person from their place of death to the Coroner's facility at Barnwood in Gloucester. The contract includes hospital and community deaths and covers the entire county. It is a privilege to represent HM Coroner in Gloucester and to respond to the most acute situations families face though out the county. Our service to the Coroner is continuous day and night and we pride ourselves on the professionalism which we contribute towards the Coroner's Service and which is reflected through the care and dignity which we extend to the families in turn.